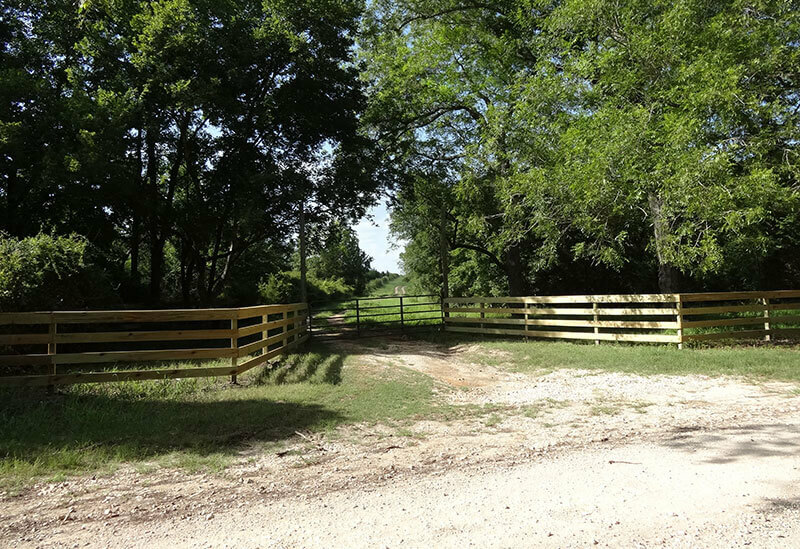 73 + Acres, Gently Rolling, Lined with Pecan and Cottonwood Trees on the banks of Caney Creek. An old, wood-frame farmhouse build around 1910 sits on a hill near the center of the property and is presently occupied by a family member. The old home had character in its day, but presently is hoping to receive a little tender loving care. The property is gently rolling, and the sandy loam soil is covered with a stand of hay-grazer and native grasses. The south fork of Caney Creek, also known as Murray Creek is lined with large native pecan and cottonwood trees and serves as the eastern boundary of this 73.025-acre tract of land. Nature trails have been selectively cleared and meander in and around the hill sides by a small pond and along the banks of the south fork of Caney Creek. Minerals are available and negotiable!! !